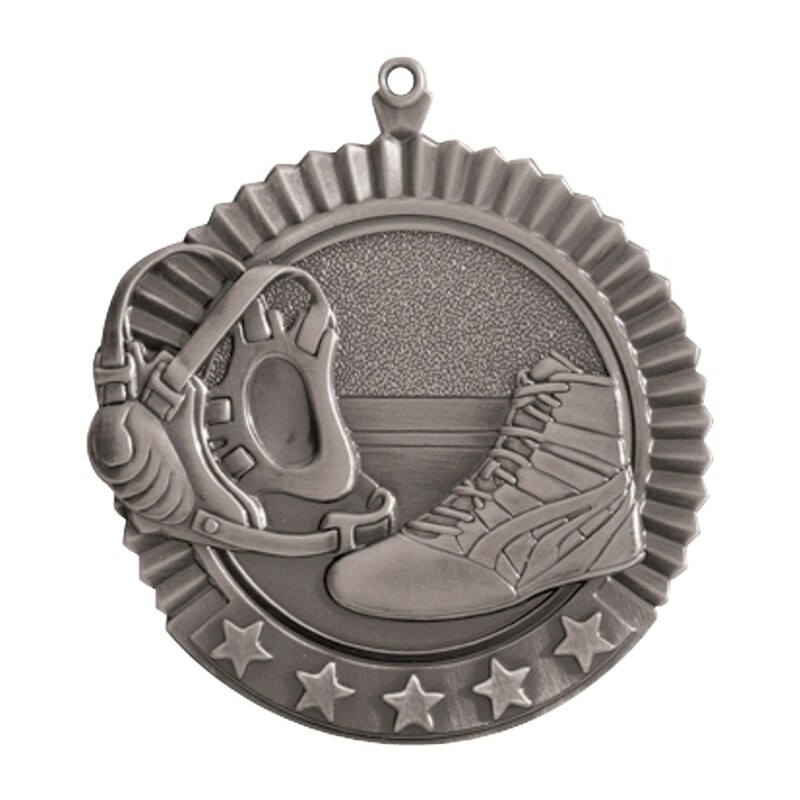 Honor talent, skill, and dedication with this stylish medal. The Jumbo Wrestling Star Medallion features a shoe and ear guard, perfect to remind a great wrestler of being on the mat. Underlined with five gold stars this medal is sure to give the proper recognition to all wrestlers for their hard work and determination this season. 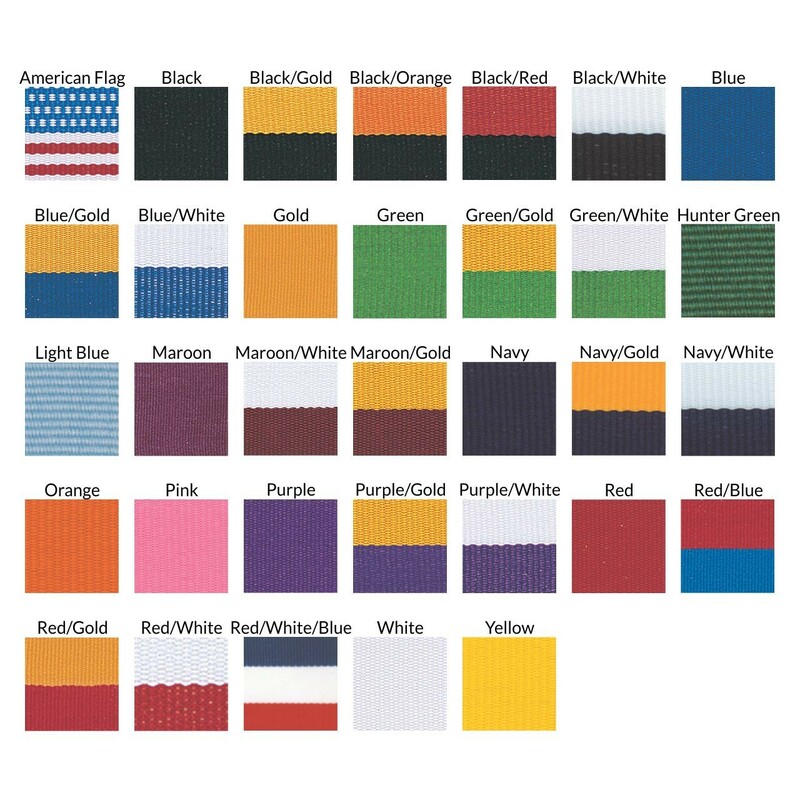 Chose your own color of neck drape and create an award that fits with your favorite wrestling team.